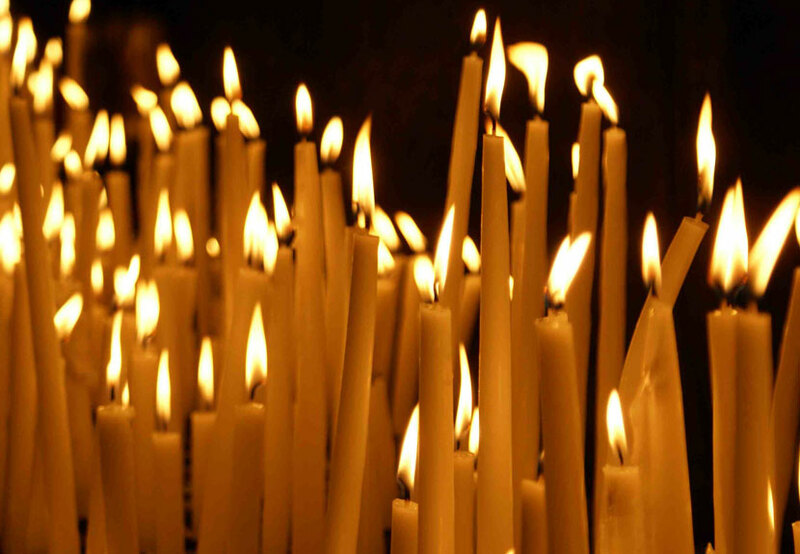 The Clergy, Executive Board, and Members of St. Sava Serbian Orthodox Church express condolences to the family of Charlie Tesovic. Memory eternal. Charles D. “Charlie” Tesovic, age 58, a former longtime Hobart resident, currently residing in South Milwaukee, Wisconsin passed away unexpectedly Sunday March 2, 2014. Charlie was a 1974 graduate of Hobart Senior High School. For over 20 years, he was employed by Union Tank and Caterpillar, INC. Since his childhood days he was an active member of St Sava Serbian Orthodox Church and very supportive in all church activities in both Wisconsin and Indiana. Many will remember Charlie spending lots of hours helping at the former St Sava Serbian Hall on 49th Avenue in Hobart. He was a lifelong member of King Peter II Lodge #16 of the SNF. Charlie will always be remembered as a true “people person” and friend to all. He will be missed very much. His beloved wife, Svetlana (nee Todorovic) preceded him in death in 2004. Also preceded in death by his parents: Svetozar and Sophia Tesovic; and his nephew, March Leshner (1991). Survivors include his loving children: Jelena (Aaron) Wright, Kristina Tesovic and Marko Tesovic; sisters: Mary (Shel) Leshner; Angie (John) DeVaney; sister in law, Vesna (Vlasto) Todorovic; several nieces, nephews, relatives, lifelong family friends and kumovi; also, special friend Gordana Pantelic. Funeral Services will be held on Saturday March 8, 2014, 11:00 a.m. DIRECTLY at St. Sava Serbian Orthodox Church, 9191 Mississippi St, Merrillville with V. Rev Marko Matic officiating. Interment Calumet Park Cemetery. Visitation will be Friday from 3:00 p.m. to 8:00 p.m. at Burns Funeral Home, 10101 Broadway, Crown Point, IN with a Pomen Service at 7:00 p.m.
For further information please call Savich & Semplinski Funeral Directors at Burns Funeral Home (219) 769-0044.